Discover exciting area attractions and outdoor excursions, explore Eugene’s sports, arts and music scene, or plan ahead for upcoming cultural events. Our Staff Picks blog will help you make the most of your stay in Eugene, Oregon. For a long while, it seemed as though the food scene in Eugene would never quite catch up to the culinary powerhouse of Portland. 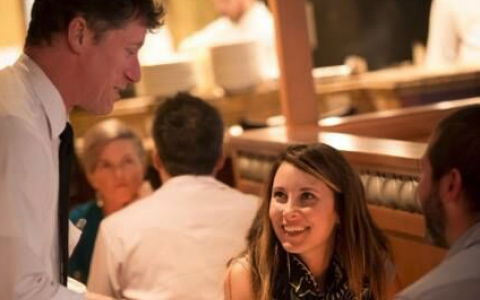 In recent years, however, Eugene has continually proven its fine-dining bona fides as more and more of our restaurants garner praise for their superior service and world-class cuisines. Just last month, in fact, Eugene’s own Marché was named one of just 20 national semifinalists in the Outstanding Restaurant category of the highly-coveted James Beard Foundation 2019 Restaurant and Chef Awards. Located at the lively 5th Street Market, just a three-minute stroll from our hotel, Marché uses only the freshest local ingredients, prepared in traditional French style and served to you in a friendly atmosphere of casual elegance. The exhibition kitchen gives diners a direct view of the culinary artistry at work every day at this gustatory treasure, where you can savor the delectable Pacific Northwest flavors at breakfast, lunch, dinner, weekend brunch, and even late into the night. A spacious outdoor dining area and private dining room are also available. With its reputation as Oregon’s hippest up-and-coming city (sorry, Portland), Eugene is fast becoming one of the Pacific Northwest’s great centers of culture. That’s true not only of the arts community, but also the vibrant and varied food scene, which covers the gamut from trendy food trucks, to mom-and-pop cafés, to delicious gourmet dining. If you’d like to explore the tremendous range Eugene has to offer a foodie, check out the Taste Eugene Foodie Tour available this month through America’s Hubworld Tours. Departing from the 5th Street Public Market every Tuesday, Wednesday, Thursday, and Friday at 1:30 P.M., this three-and-a-half-hour gustatory adventure will introduce you to cuisines spicy and mellow, salty and sweet, with many locally sourced organic ingredients. Make sure you’re thirsty too because regional wines and craft beers will also be on the menu. For more information, including how to make a reservation, see the official Taste Eugene Foodie Tour website here. In December 1903, Orville and Wilbur Wright made history when they took to the air for a sustained flight just a few miles south of Kitty Hawk, North Carolina. Now, little more than a century later, air and space travel have advanced to a degree the Wright Brothers could barely have dreamt of. At the Oregon Air and Space Museum, housed on the grounds of the Eugene Airport, you too can explore the fascinating progress of aircraft and spacecraft across the decades. In this state-of-the-art 6300-square-foot facility, you’ll get up close and personal with the Nieuport 17, a French sesquiplane fighter from World War I; the Globe Swift, a light two-seat monoplane of the 1940s; the Smith Special, a wooden, homebuilt single-seater of the 1950s; the Grumman A-6E Intruder, a twinjet attack plane used by the US Navy and Marines from the 1960s thorough the 1990s; and many other fascinating aircraft. 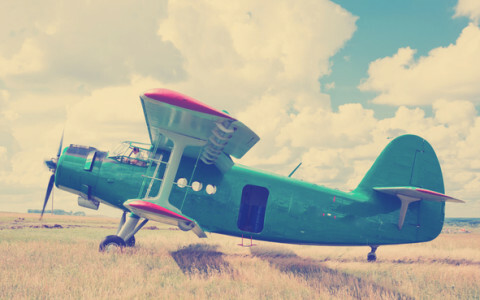 Fun and informative, this cozy aviation museum is a must-see for anyone who’s ever looked to the sky with a sense of wonder. The Eugene Science Center, formerly known as The Science Factory, has changed names and locations quite a few times during its nearly six-decade existence. Since its inception, however, the center has been animated by the drive to teach kids about the thrilling world of science in a fun, interactive environment. Today, families travel from across the region to marvel at the cosmos projected in dazzling digital format at the planetarium, which seats up to 70 guests and just received a state-of-the-art projector upgrade in the summer of 2018. 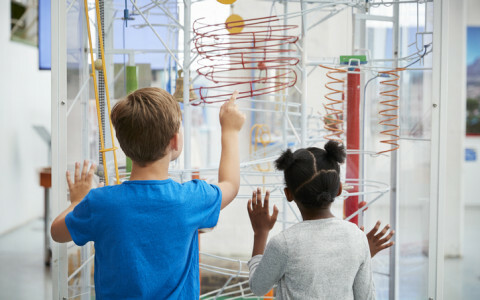 The museum’s rotating temporary exhibits, which are aimed at children up to about age 12, give kids the chance to investigate phenomena integral to disciplines as diverse as astronomy, optics, ecology, physics, nanotechnology, and more. In addition, there’s a dedicated “Tot Spot” for kids from birth up to age 5, meaning no child is too small to explore the wonders of the Eugene Science Center. Built in 1933 to showcase the Murray Warner Collection of Oriental Art, which numbered around 3700 unique pieces, the Jordan Schnitzer Museum of Art is now home to over 13,000 works from Japan, China, Korea, South & Southeast Asia, Europe, Russia, the Islamic World, and North & South America. 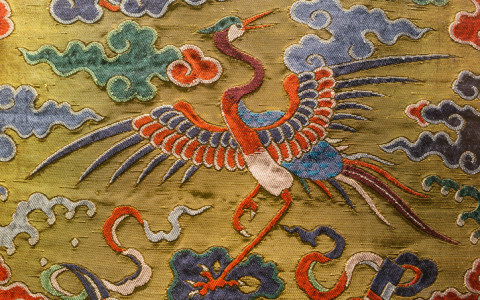 We’re particularly fond of the extensive and varied Chinese art collection, among which you’ll discover a nine-foot jade pagoda, ceramic tiles from the roof of the Forbidden City, and one of the most breathtaking assortments of Chinese textiles in the country. The museum’s impressive photography collection also continues to grow, with works by such luminaries as Ruth Bernhard, Imogen Cunningham, and Alfred Stieglitz. Located on the University of Oregon Campus, the museum is open Wednesday through Sunday from 11 A.M. – 5 P.M. Every Wednesday from 5 – 8 P.M. is “pay what you wish,” and the first Friday of the month is always free. One of the nation’s premier public institutions of higher learning, the University of Oregon is a cornerstone of Eugene’s vibrant artistic and intellectual community. During your visit to our city, considering heading over to the university’s campus to check out the Museum of Natural and Cultural History, located less than ten minutes by car from our hotel. Founded in 1935, the museum has grown substantially since its humble beginnings. With a permanent collection that comprises numerous animal specimens, some 100,000 fossils, and close to one million ethnographic and archeological artifacts, the museum on UOE’s campus is the largest natural history museum between Seattle and San Francisco. In addition to its many fascinating indoor exhibits, the museum also features the Glenn Starlin Native Plant Courtyard, where visitors can stroll among and learn about more than 120 distinct plants native to the thriving natural ecosystems of Oregon. Halloween – the very word conjures up images of glowing jack o’ lanterns, spooky ghosts, terrifying tales, and, of course, parties of children in full Halloween regalia out for trick-or-treating. Sound like fun? Then, gather the family and head over to the 5th Street Public Market for the Haunted Market on October 30-31. An abundance of family-friendly fun will feature face painting and trick-or-treating, a scary-story teller, and a photo booth to capture those memory-making moments. You may want to take a few photos yourself, particularly of the 500-plus pound, professionally-carved pumpkins on display. If you’d like to get an up-close look at how these giant gourds are transformed into seasonal art, head over to the market on October 27 and/or October 28 to see local pumpkin carver extraordinaire Tom Lindskog in action. The Haunted Market benefits Food for Lane County, which provides assistance for those coping with limited resources and food insecurity. So, dress in your Halloween best, and join us at the Haunted Market for a ghoulishly good time! As summer transitions to fall in the Pacific Northwest, what better way to enjoy the cooling temps than a journey into the great outdoors? At the Mount Pisgah Arboretum, located just 15 minutes from our hotel, you can explore 209 acres of botanical splendor between the Willamette River and towering Mount Pisgah. Founded in 1973, the arboretum boasts 23 bridges and seven miles of scenic paths that wind along the river. You’ll enjoy lush forests, flowering meadows, water gardens, and much more. Dedicated to enhancing the public’s appreciation for nature, the friendly and expert staff and volunteers at the Arboretum offer a range of guided tours, workshops, and other fun and informative activities. Whether you’re looking for a day of tranquil contemplation, a sunny spot for a family picnic, or an adrenaline-pumping run in an enchanting setting, there’s no better place than the Mount Pisgah Arboretum. Just a short half-hour’s drive from our hotel, the King Estate Winery is one of the most celebrated vineyards and winemakers in the Pacific Northwest. Though King Estate specializes somewhat in Pinot noir and Chardonnay, they are especially known for their Pinot Gris grape varietal, which has won national acclaim. In addition, King Estate has been Certified Organic by Oregon Tilth, whose exacting standards are met only by the most ardent commitment to organic production. The King Estate Tasting Room, where friendly and expert staff are always eager to assist, is open every day of the week from mid-morning to evening, and complimentary guided Winery Tours are offered every hour on the hour till 5 P.M. seven days a week. If you’d like to visit the Tasting Room and tour the grounds, it’s best to call ahead for a reservation at 541-685-5189. Have you ever seen a raptor in person? (And no, we’re not referring to those crafty dinosaurs that menaced the heroes of Jurassic Park.) If not, you’re in for a treat because Eugene is home to the Cascades Raptor Center, a thriving wildlife hospital and permanent habitat for eagles, owls, hawks, and other birds of prey. To help ensure that the wild animals stay wild, the 200 or so birds being treated for eventual release are not available for public viewing. However, around 60 birds that would not survive in the wild now call the center home, meaning you’ll have the chance to observe and learn about several dozens of these majestic creatures. The Cascades Raptor Center is conveniently located 15 minutes by car from the Inn at the 5th, so that after your day exploring the wonders of the wild, you’re just a short ride from the pinnacle of Pacific Northwest luxury accommodations. Whatever your artistic passion is—woodwork, portraiture, classical ballet, poetry, folk music—there’s bound to be a thriving community of creators for you here in Eugene. The Hult Center for the Performing Arts, just a five-minute stroll from our hotel, reflects the city’s creative diversity in the eclectic mix of world-class performances that grace their stage year round. Upcoming shows include The Oregon Bach Festival: Brandenburg Concertos, an evening with the OBF Baroque Orchestra and acclaimed British violinist Monica Huggett (June 29); Party on the Plaza: Dana Louise & The Glorious Birds, featuring the eponymous songstress and virtuous banjo-picker whose style bends bluegrass and jazz (July 12); Party on the Plaza: Northstar Dance Company, a nationally-acclaimed troupe of contemporary and intertribal Native American dancers who fuse jazz, tap, aerial, and b-bop, to name just a few genres (August 2); and Funny Money, an uproarious farce of misplaced luggage, unexpected riches, and international intrigue (August 17 – 26). And that’s just a very small sample of the outstanding lineup over the next few months at the Hult Center for the Performing Arts. A trip to Oregon isn’t complete without a visit to Willamette Valley. Local’s tip, it’s pronounced Willamette like "dammit" (you’ll thank us when you visit). Serving as the state’s leading wine region, it’s recognized as of leading pinot noir producers in the world and is home to more than 500 wineries. To help plan your trip, we’ve put a few must-see and must-taste stops together. Head to The Horst Radish Restaurant, a perfect afternoon destination serving up wine (of course), cheese, gourmet sandwiches, and specialties. You’ll need the fuel. Cristom’s is next on the list, offering naturally-produced pinot noirs since 1992. Go for the guided tasting room program for only $30. For the best view of the valley, try a once-in-a-lifetime hot air balloon ride. Think of the amazing photos from above and how sweet it will be toast with region’s creation in hand. Ready to get plan your day in wine country? Get all of the details here and cheers! What’s in a name? For us, it’s the center of our gravity. Bringing an upscale and boutique market experience to life, the 5th Street Public Market is indicative of our namesake. Truly local in nature, the market welcomes you the moment you step out of our doors. Think a curated take on the traditional market fusing a collection of stores and restaurants that just scream Eugene! 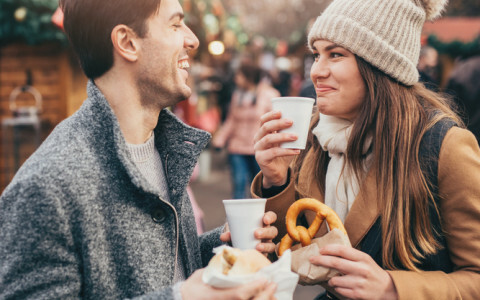 Start the market day with a glass (or two) of local wine and indulge in our city’s character as you connect with the local community. Our must-shop stops include Velvet Edge, Made in Oregon, and Will Leather Goods. Don’t worry, there is something for everyone and a full list of shops can be found here to help navigate your way. Shopping not your thing? Take a stroll through the public market. The native energy, scenery filled with florals and buzz of the market is more then enough to inspire and delight for the day. Make sure you leave room in your suitcase for any treasures you might find (and we have a feeling you will! ).